This unique mount provides approximately 6" of height adjustment. All hardware is included. 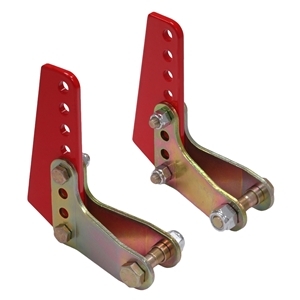 This mount welds to the 4-link axle bracket on any Sportsman 4-link.